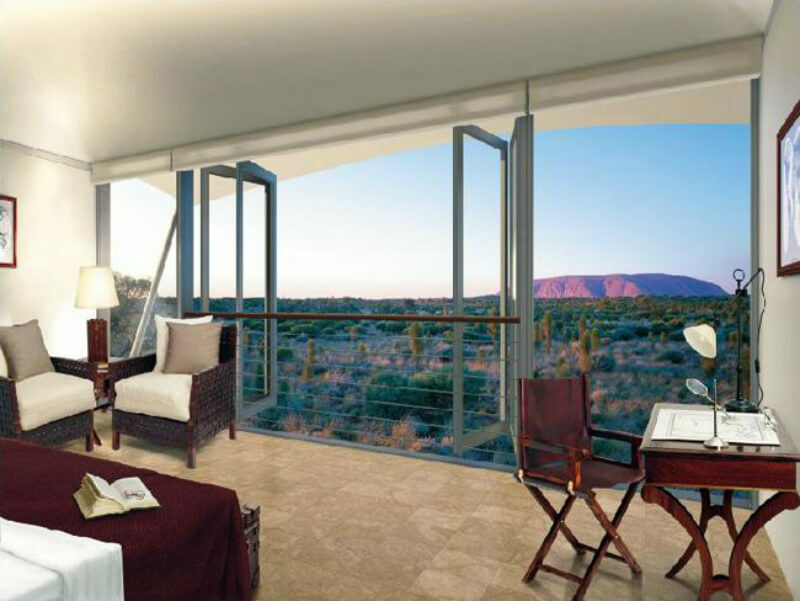 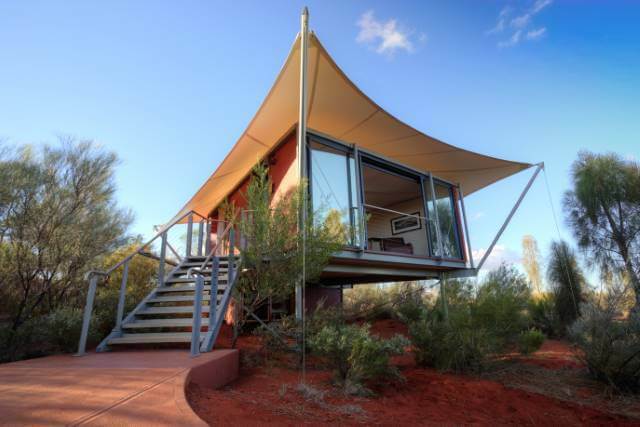 The award-winning Longitude 131° is set atop an isolated sand dune close to the border of the Uluru - Kata Tjuta National Park. 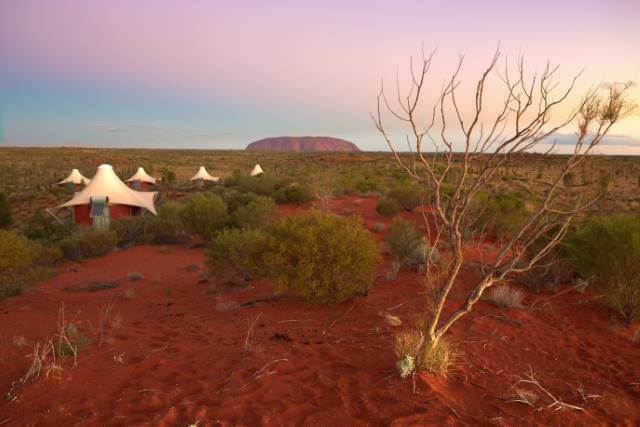 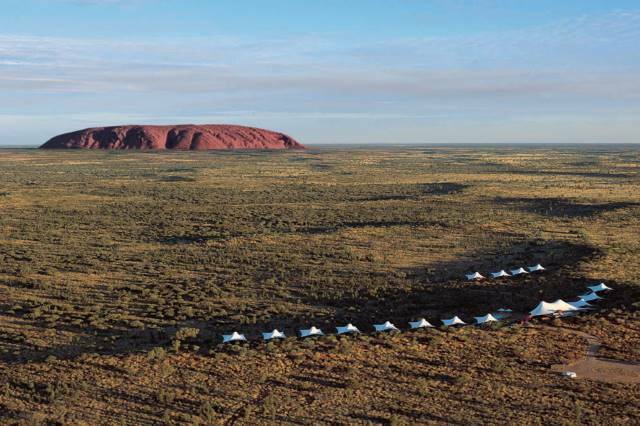 Luxurious, eco-sensitive and romantic, the camp offers immersion in the wilderness of Uluru-Kata Tjuta National Park, complete with five star luxury and views of the sun rising and setting over Uluru. 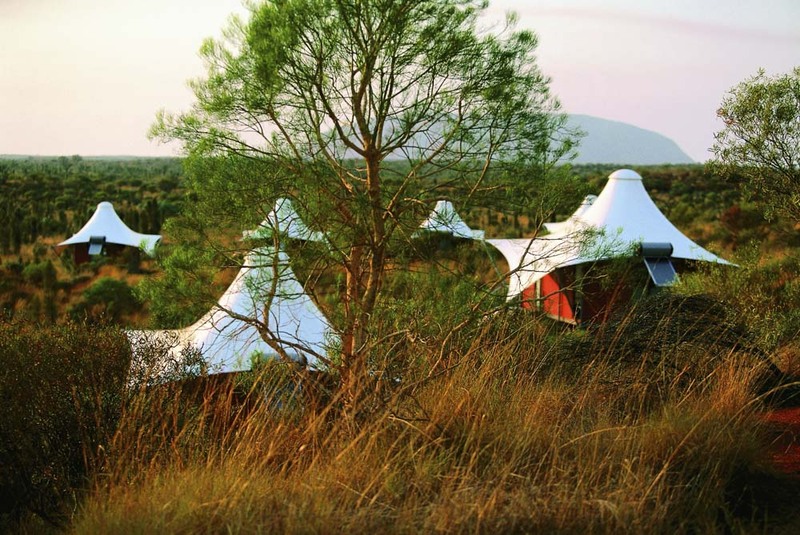 Each of the fifteen Luxury Tents has a white dome roof and flowing fabric draped from the centre to create the illusion of camping. 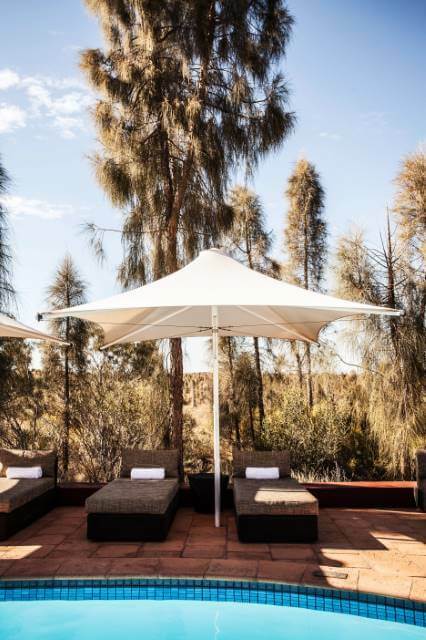 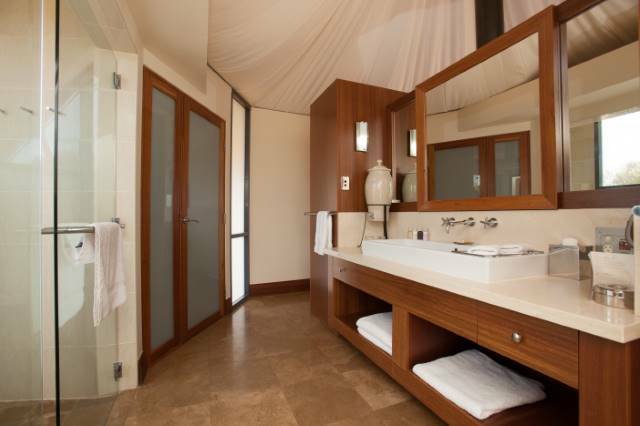 Meticulously designed to remain cool in summer and warm in winter, each tent features air-conditioning and private bathroom. 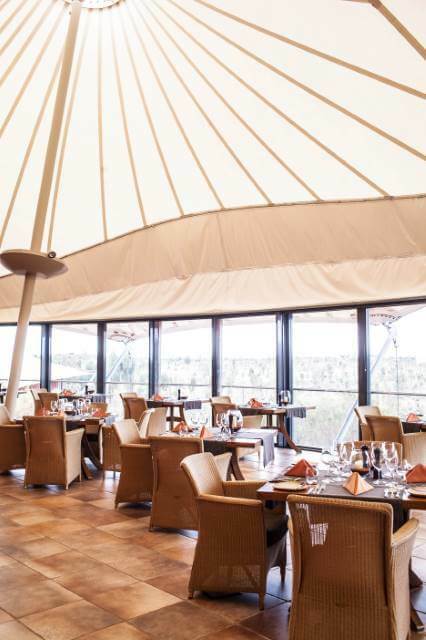 Dine out under the spectacular desert night sky at Table 131°. 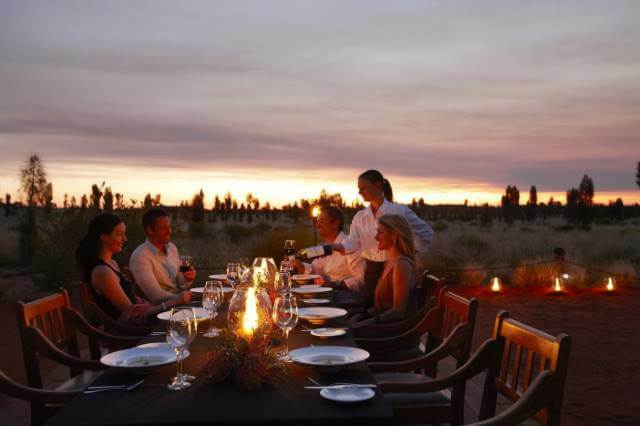 A three-course dinner is served with the finest wines under a glittering canopy of stars. 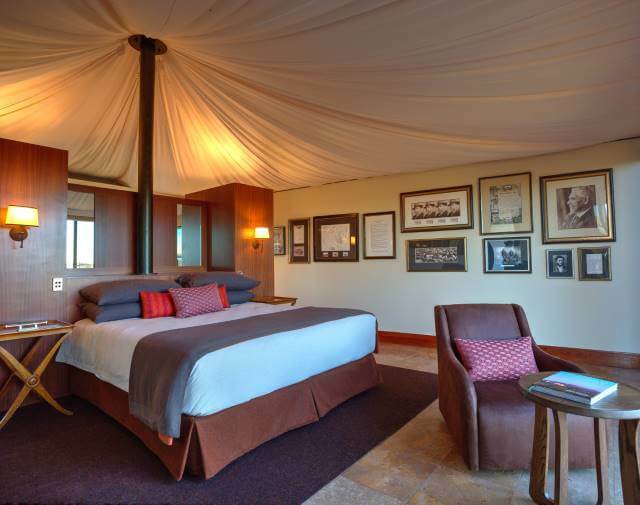 This is, without doubt, the perfect way to wind down after an amazing day of discovery. 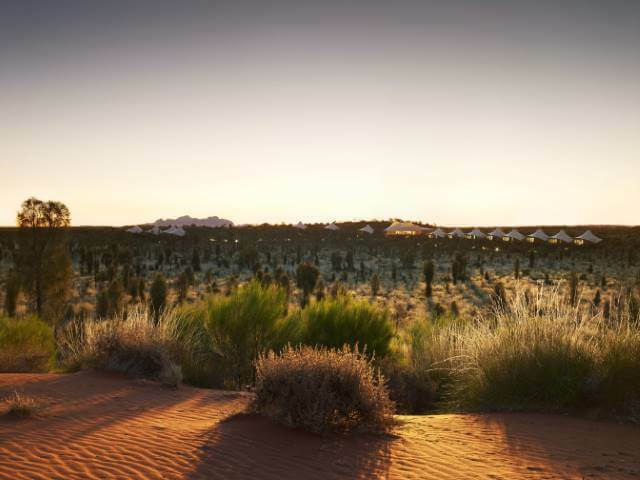 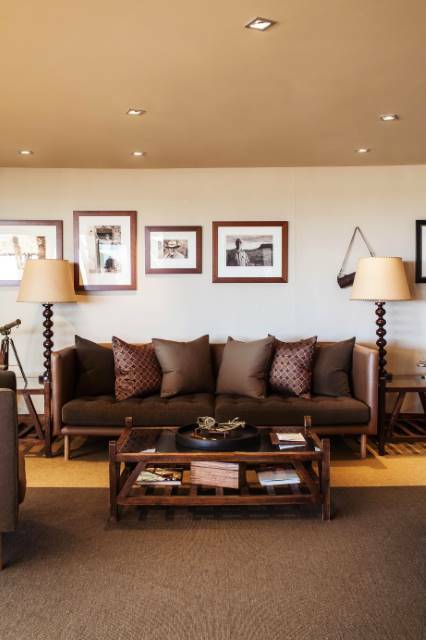 The Dune House serves four-course gourmet dinners with chosen wines sitting either with your fellow guests or separately.